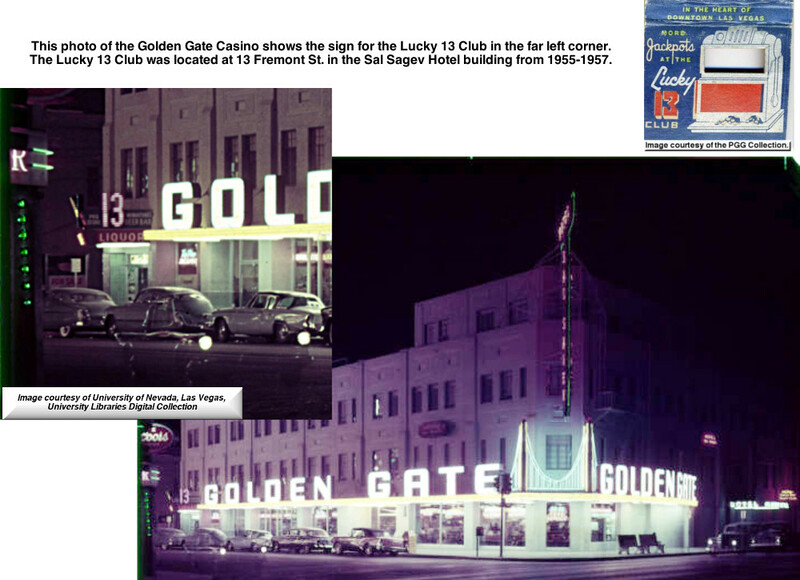 As of this writing in early 2017, if you walk into the Golden Gate door next to the alley, you will be walking through the same entrance that opened into the Lucky 13, the Trail Cafe, Lanrep Bar, and the KeyHole Bar! Update: It's 2018 and there is no alley!! 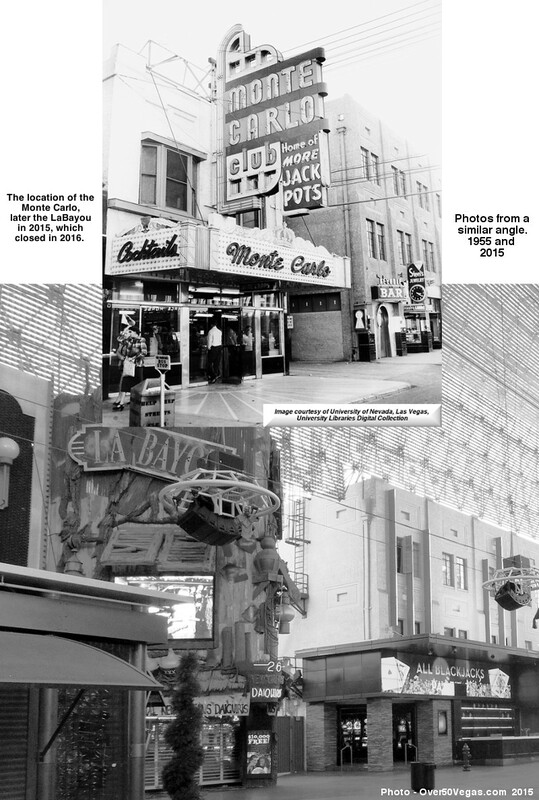 But you'd still be walking through the same area as gamblers had for the last 90 years. 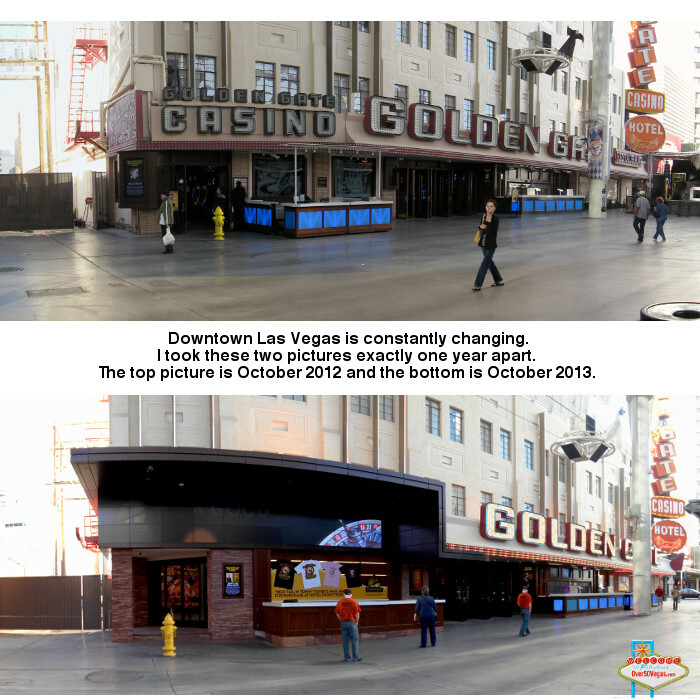 Take a look at the changes over the years shown below. 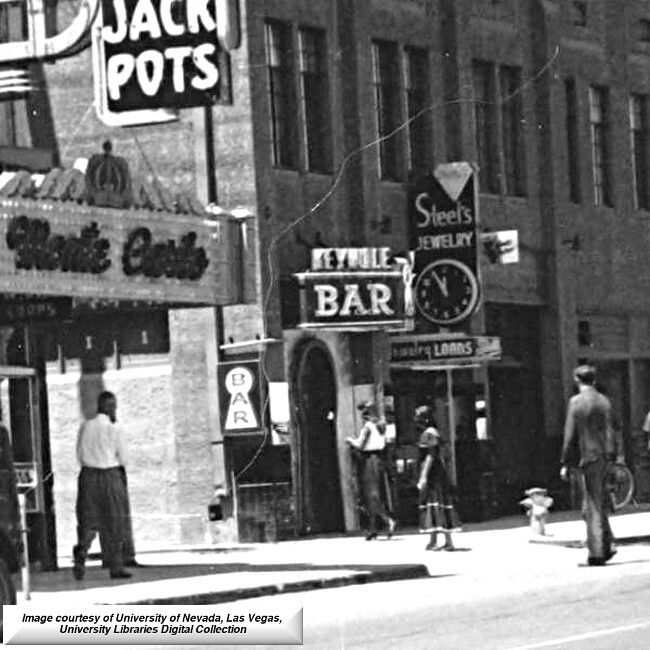 To the left is a rare photo of the Keyhole Bar at 13 Fremont Street in the Sal Sagev Hotel Buidling. It adjoins Steel's Jewelry and is across the alleyway from the Monte Carlo Club. 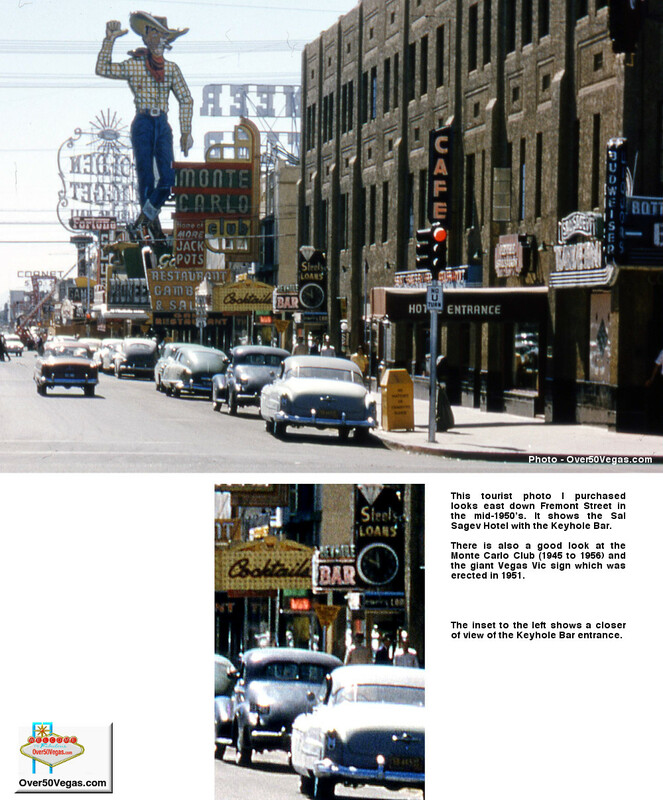 Vintage Las Vegas also has a wider view of this part of Fremont Street and the Trail Cafe. Here's a matchcover from the Trail Cafe at 13 Fremont that notes that it is located UNDER the Sal Sagev! This might be dated around 1945 since that's the time Sam's Cafe was operating at 320 Fremont! 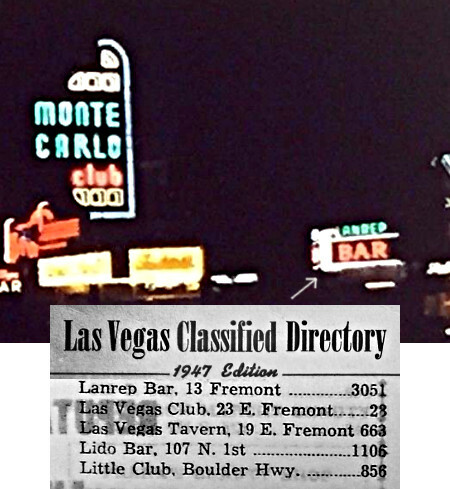 An article in the Nevada State Journal January 6, 1946 shows John F. Miller getting a liquor license for the former site of the Trail Cafe in the Sal Sagev building. in the Sal Sagev Hotel building at 13 Fremont St. It became the Lucky 13 Club in 1955. One of the coolest things about the Keyhole Bar is that the front door is in the shape of a ‘Keyhole” The matchbook reflects the door shape and also matches the design of the sign above the door. 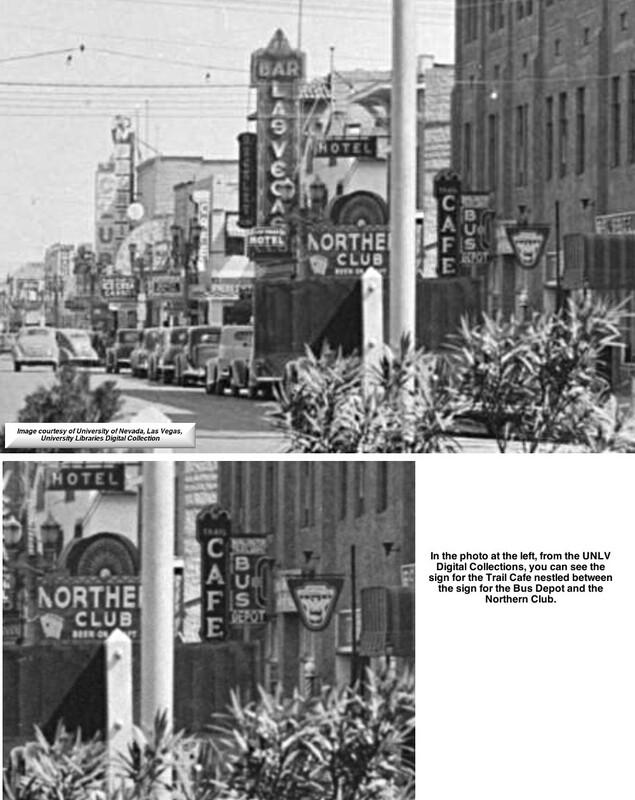 The Lucky 13 Club was located at 13 Fremont St.
in the Sal Sagev Hotel building from 1955-1957. It was only licensed for slot machines and 21.
only collectibles I've seen from this small and short lived club.